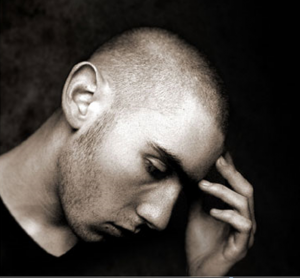 Depression and Joint disease – How do the Two Interact? A recent survey by the University of Basel and the Ruhr-university Bochum have found a direct correlation between the amount of depression cases around the globe, and the amount of people with depression who have a degenerative joint disease such as arthritis, and more. The study was performed on 14,348 subjects aged fifteen years and older, so a broad and concise spectrum of results could be obtained. Roughly one third of all participants of this study who suffered from depression, also suffered from a joint disease. This is an alarming number and shows how such illnesses, diseases, and ailments can affect day to day life for those who suffer with them. This also shows how depression could have a link to developing some joint diseases like arthritis. The study suggests that depressive symptoms give people a general lack of interest in undertaking physical tasks, hobbies, or any other physical activity which may help to prevent this disease. These could range from running, playing tennis or any other physical activity that depressive symptoms can make seem pointless and give you a general lack of interest. This could lead, if the study goes into more depth at some stage, to some interesting results in how depression could be causing arthritis in some people, and it will also give insight into how miserable this disease can make you feel. Tenura was created to try and help people make day to day life that little bit easier for those who suffer from degenerative or physical impairments. Our products strive to try and create a normal as possible life for people, without them becoming sad or depressed because normal tasks have become so much harder or next to impossible. 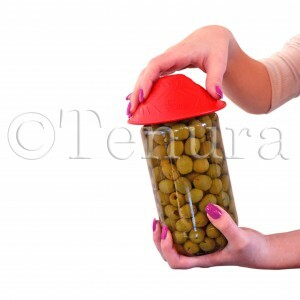 Tenura jar and bottle openers are such product designed to help around the home. Designed to fit neatly around many jar lids and bottle tops, the increased grip reduces the amount of strength and pressure required, making jars and bottles easier to open, with the silicone giving an enhanced comfort also. They can also be used on taps, door handles and other twist to open or release items. For many, this can reduce the cost, preventing the need to spend a lot of money on electronic assistance machines. Tenura has many other grip enhancing and non-slip products which have also been created for this purpose, we aim to make as many areas of the home as disability and impairment friendly with our strong non slip mats, coasters, cutlery grips, cup caps and bathrooms products. Posted in Arthritis Aids, Assisted Living, Daily Living Aids, Independent Living, Internet, Tenura Updates and tagged cup caps, cutlery grips, depression, jar openers, joint disease, non slip mats, tenura, Tenura jar openers, Tenura products on 23rd April 2015 .